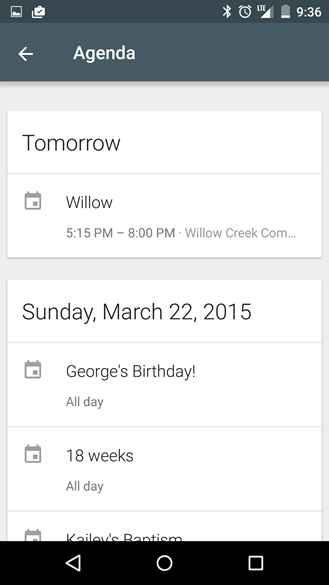 The initial card shows the next chronological item on your calendar and an expansion button. Tap the button and you'll see the schedule for the entire day. 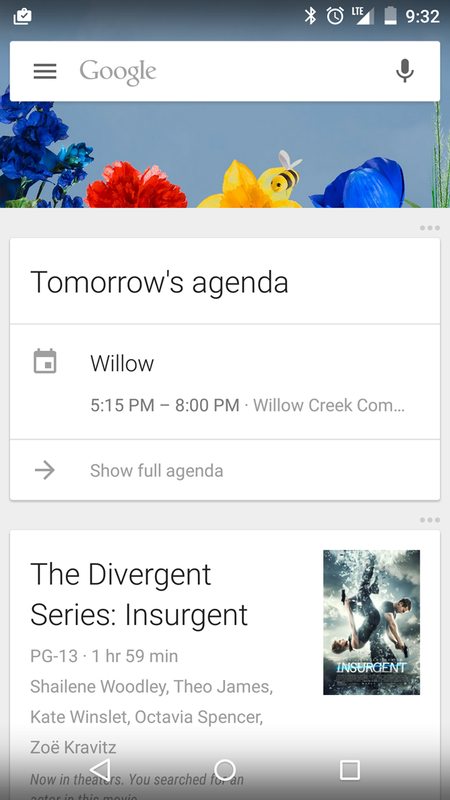 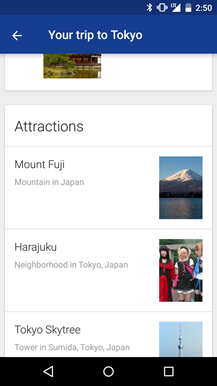 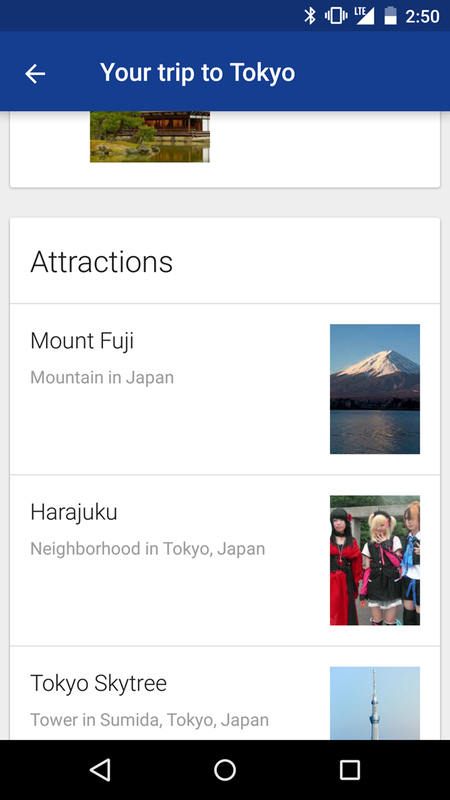 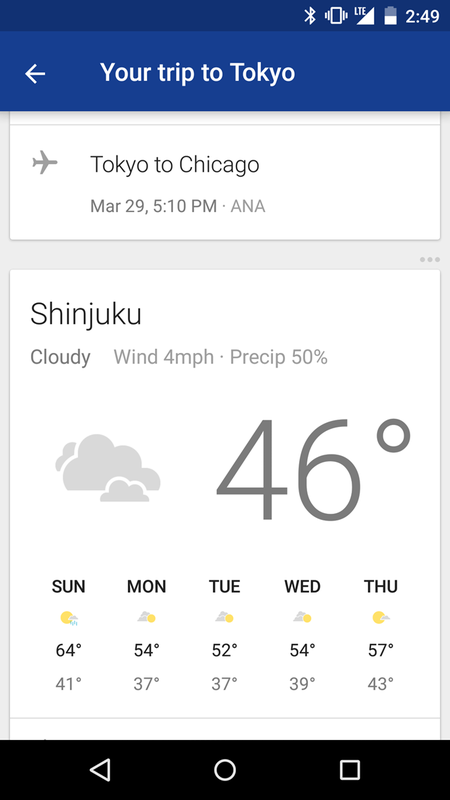 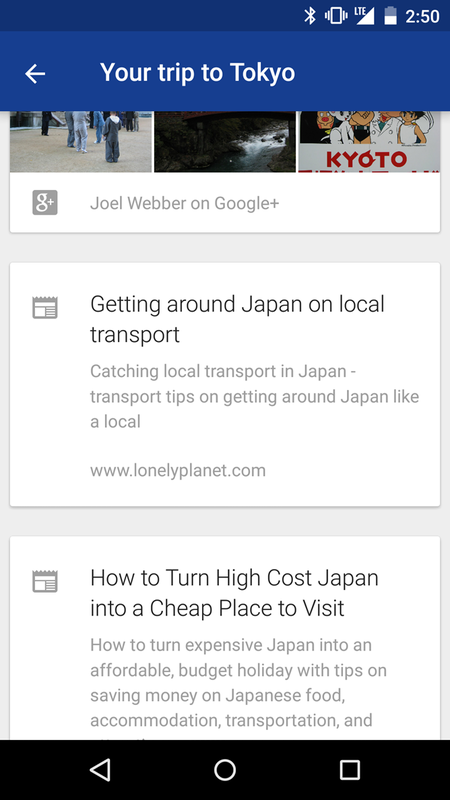 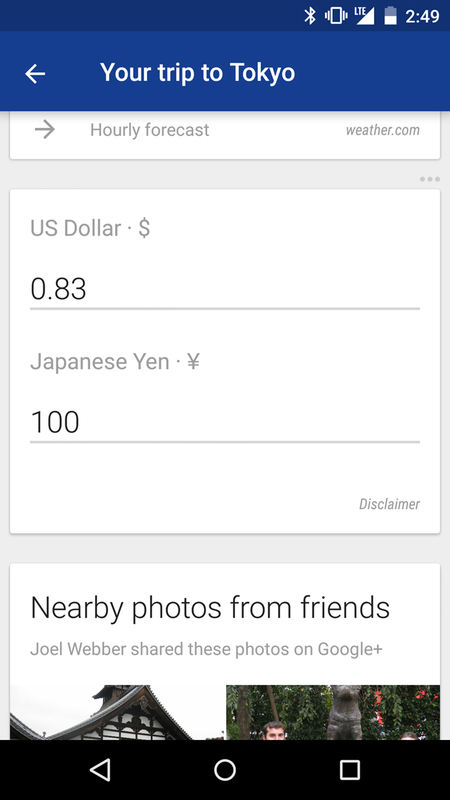 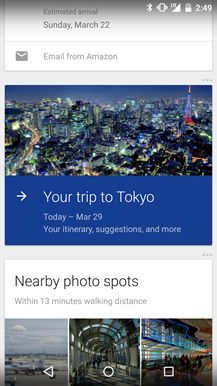 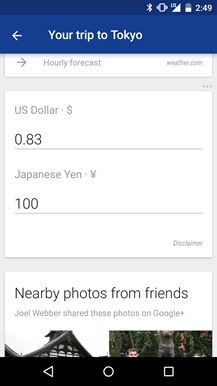 Like all Google Now cards, it can be temporarily dismissed or permanently disabled with the hard-to-see triple-dot menu in the upper right corner of the card. 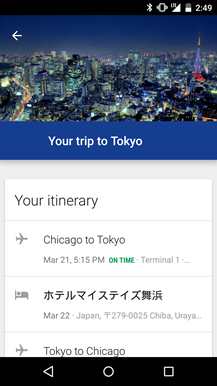 Google Now has always been pretty savvy when it comes to travel, automatically grabbing flight info, hotel information, destination weather, and other relevant info from your Gmail account. 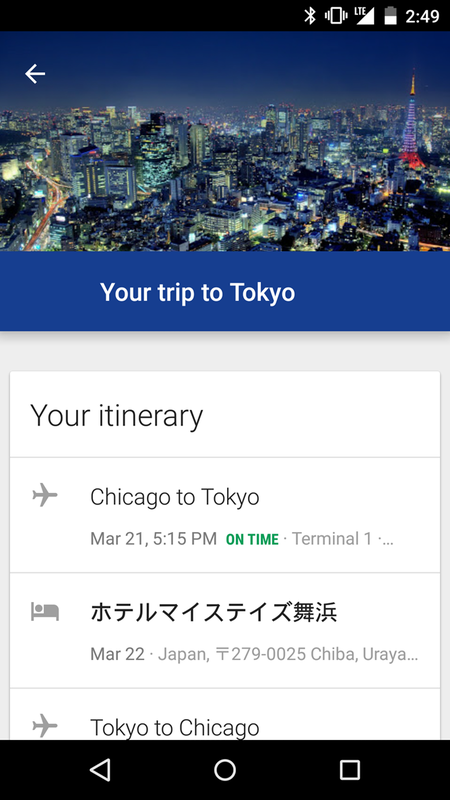 Now instead of individual cards for flight, destination, et cetera, some users are seeing a combined card: "Your trip to [destination]." 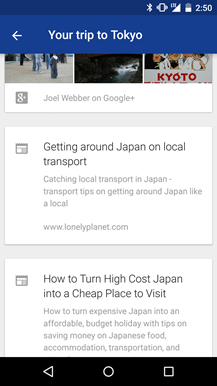 Expand it and you'll see a grouped collection of relevant information from Google Search, Gmail, and Google Calendar, including flights, personal agendas, weather, attractions, and even a currency converter. 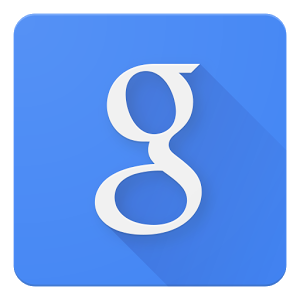 Google Now features are usually rolled out with server-side updates instead of updates to the Google Search app itself, and that appears to be the case here. 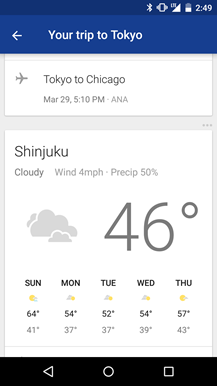 Only one Android Police staff member has seen the agenda card and none of us have the combined travel card, so it looks like this one is going out in very small batches so far.